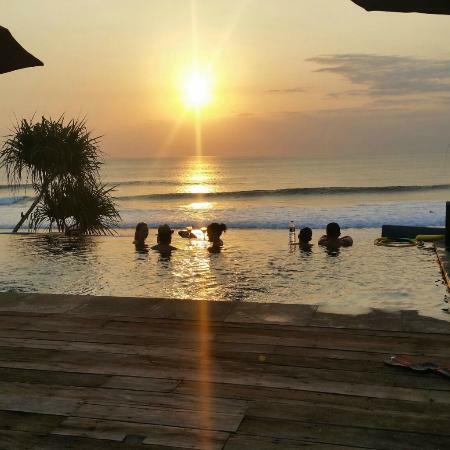 Set on the western tip of Nusa Ceningan island, this relaxed clifftop hotel and restaurant with 7 bungalows overlooks surfing spot Nusa Ceningan's Secret Point, and is 6 minutes' walk from Blue Lagoon beach. 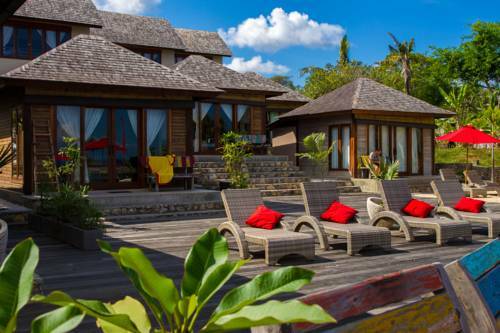 Relax in comfort in on one of spacious island inspired bungalows, made from coconut trees and furnished with recycled boat wood furniture. 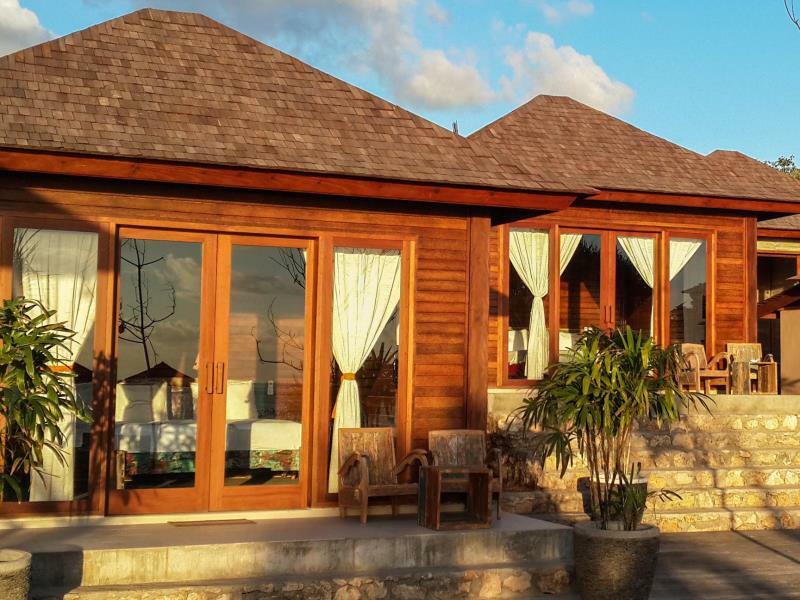 Bungalows of The Palms Ceningan offer all the comforts of home including Air conditioning, king size beds with 550 count Egyptian cotton sheets, satelite tv and mini bar and a beautiful view of the Indian Ocean. 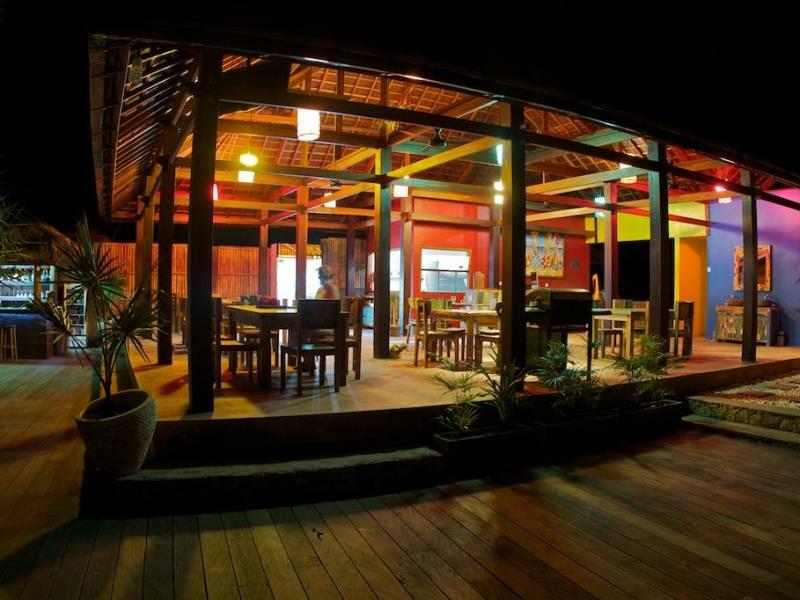 Restaurant of The Palms Ceningan is serving the best food on the island of Nusa Ceningan. Try one of our signature dishes like Blackened Mahi-Mahi or one of our authentic Mexican favorites like nachos, enchiladas or tacos. Paired with a delicious Margarita or an ice cold beer and just relax on our massive iron wood deck. The view is amazing. You can also surf directly in front of hotel at Nusa Ceningan's Secret Point or surf at Nusa Lembongan's Shipwrecks, Lacerations or Playgrounds which is just a 10 minute Motor bike ride away. You can also go snorkeling or fishing just off Ceningan Island and Nusa Penida or just relax poolside with a cold beverage. Discover paradise. Come visit The Palms Ceningan Hotel and Restaurant soon!